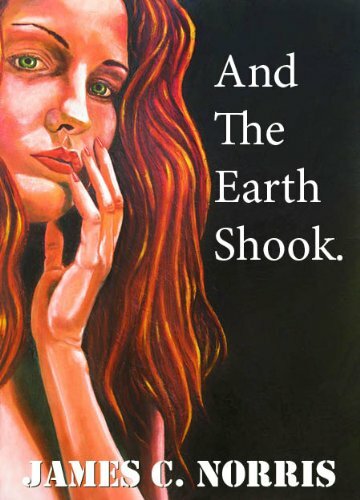 Ana Mardoll's Ramblings: Author Interview: James Norris on "And The Earth Shook"
I'm... kind of shocked. The 'primitive people' didn't just walk out of the jungles, deserts and caves with the prerequisite knowledge (knowledge given to them by aliens, perhaps?). No, they learned the complex mathematics and stone-working skills by (shock!) studying them. Yes, it's true! Non-whites are capable of learning without extraterrestrial intervention! There is a clear line of descent for their structures, from more rudimentary to more complex - even in the case of the South American civilizations, which made a practice of tearing down older structures for materials to build new ones. It reminds me of 'Great Zimbabwe' in Africa - the remnants of a fairly substantial walled town/palace complex, complete with 5 meter tall mortarless walls - where the (European) archaeologists in the 18-1900s insisted the site must have been built by the Phoenicians, because clearly blacks are not capable of such a feat! I mean, the idea of 'aliens came to earth in ancient times' is potentially interesting. But no one ever suggests that aliens built the Parthenon. even in the case of the South American civilizations, which made a practice of tearing down older structures for materials to build new ones. Reuse! And then you have things like the Bent Pyramid in Egypt, where (iirc) they made a major design change, mid-building process, because another pyramid that was built too steeply collapsed in on itself. So the Bent Pyramid has a very steep base and a less steep top. Evolution of architecture is fascinating. Wait, what? How can you NOT take "modern stuff" with you? You're modern! Your germs are modern! The cloth we use to make the clothes is modernly grown, modernly pesticided, modernly woven, .... ! Hehe. Crichton is hilarious when you research what he writes about. It's in 'Timeline' - which is one of his worst ones for critical research failure. I like time travel in Connie Willis' books, where it is only performed by historians with extensive research into their subject. Because mostly I find it ridiculous to believe that modern humans would have more useful skills than ancient humans in an ancient context. Seriously, I can barely add without a calculator. The time travel in S.M. Stirling's 'Island in the Sea of Time' trilogy is similar. There is one particular scene where a banker or somesuch is complaining that someone else gets to avoid harvesttime(said person was the blacksmith). His idea of hierarchy was quickly put in it's place. I can't help noticing that when Ana asked whether Norris was "influenced by a certain author," he conspicuously failed to credit Erich von Däniken. Bad form; at least Dan Brown namechecked Holy Blood, Holy Grail. How can we explain the fact that all of the ancient civilizations on earth valued gold from the very beginning of their known existence? They didn't. As far as the archaeological evidence goes, most ancient civilizations started using copper well before gold, even for decorative purposes. Some of them never developed much interest in gold at all, like the American civilizations north of Mexico. The Chinese also preferred copper and jade to gold and silver for much of their history, I believe. Did these people simply wake up one day, and decide to stop hunting for food to instead search for a shiny yellow metal for which they had no practical use? Most cultures didn't switch from subsistence hunting to "civilization" in a day. And the thing about gold is that (rarity aside) it's one of the easiest metals to acquire and work with, because it's soft and it's commonly found on the earth's surface in its pure form. You don't have to discover the chemical compounds that contain it, and then develop smelting techniques to extract it; you can just pick up any shiny yellow nuggets and sands you see and then hammer/melt them together into a larger piece. As for "no practical use"...there's this thing called "art", even primitive savages without smartphones do it. Sometimes they do it for practical reasons, even.